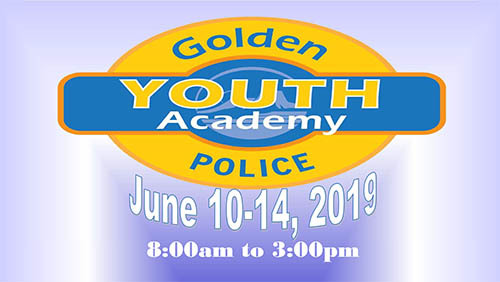 Join the Golden Youth Police Academy, June 10 - 14 from 8 a.m. to 3 p.m. and get an inside view of law enforcement with a combination of classroom lectures and hands-on training. Learn about tasers, watch K-9 demonstrations, get a jail tour, and learn about crime scene investigations, evidence collection, arrest control, firearms safety and more! Participants must be 13 to 17 years of age (13 year olds must have completed 7th grade), and must be able to attend all five days. Preferential consideration will be given to applicants who attend Golden schools. Class size is limited to 16 so apply soon. Movies & Music in the Park is one of the most popular events of the summer! Taking place on the first four Friday evenings in August, the event fills Parfet Park with music and movie fans of all ages, gathered for a fun free night of entertainment. Last year we let you select one of those movies with a poll on Guiding Golden. It was such a success, we've decided to do it again! Go to www.guidinggolden.com/2019-movie-poll and cast your vote for one of three films in the running. Will it be the Transformers movie with a heart, "BumbleBee", everyone's favorite Super-hero family "Incredibles 2", or the adventures of two unlikely video game character buddies in "Ralph Breaks the Internet"? The choice is yours...and we can't wait to see what you pick! Voting is open through the month of April and the winner will be announced in June. 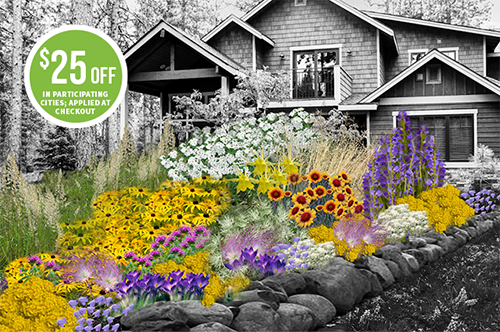 Every spring, the City of Golden and Resource Central offer an easy, fun and affordable way to create beautiful, water-conserving gardens through the purchase of a Garden In A Box kit. Garden In A Box, a selection of professionally designed, perennial gardens that use Xeric (low water) plants, offers residents a simple approach to an eye-catching yard. These affordable, do-it-yourself garden kits come with starter plants, a Plant and Care Guide, and plant-by-number maps. Gardens are offered by City of Golden in partnership with Resource Central in support of our community’s commitment to water conservation. As an added bonus, A limited number of $25 discounts are available for City of Golden water customers on all plant by number kits. In Celebration of Earth Day, anyone who signs up for the City’s Green Waste Program by April 22, including existing subscribers, will be entered into a drawing to win a “Xeric Greatest Hits” Garden in a Box ($89 value). Contact Alpine Waste and Recycling at 303-277-TRASH (8727) or email golden@alpinewaste.com to sign up for the City’s Green Waste Program. Learn more on the City’s Recycling Page. Visit, the Garden in a Box website to shop for your perfect garden. Pre-order your kit now and it will be ready for pick-up just in time for spring planting on May 11 from 12 to 3 p.m. at the Public Works and Planning Building, 1445 10th Street. Golden, Colorado is rich with culture, outdoor activities, scenic beauty, thriving businesses, and friendly people, but the City’s origins are largely thanks to another valuable resource – gold. A small amount of gold discovered in Clear Creek attracted the area’s earliest settlers in the mid-19th century and Golden City quickly became an important supply stop for gold miners seeking their fortunes in the adjacent mountains. Farmers soon discovered the rich soil in the valley that is now home to the Coors complex, and Golden City further swelled as coal mining and clay extraction industries settled in the area, utilizing the region’s ample natural resources. Golden City became the capital of the federally recognized Colorado Territory in 1862, and the territorial legislature met from 1862 to 1867 in the building that is now home to the Old Capitol Grill restaurant. By the end of the 1860s, Golden City had been elected the seat of Jefferson County and the capital of the provisional Jefferson Territory. Locals were outraged when neighboring Denver snagged the honor of becoming capital of the newly formed state in 1876, but the loss of name distinction did nothing to dampen Golden’s vital growth – business was booming. Today, with the official name of City of Golden, the town continues to thrive. It offers residents and visitors an abundance of recreational, cultural and culinary opportunities. Come live, work and play with us in our modern town with an old west flair!